Are you distracted during prayer? We all know the scenario. After stepping into a church or kneeling beside our bed at home, we instantly feel a barrage of distractions. Often we will set-out to pray for 30 minutes and then when the time is done we realize we never actually prayed! What if you could reduce these distractions, or at least understand where they are coming from and know how to deal with them? 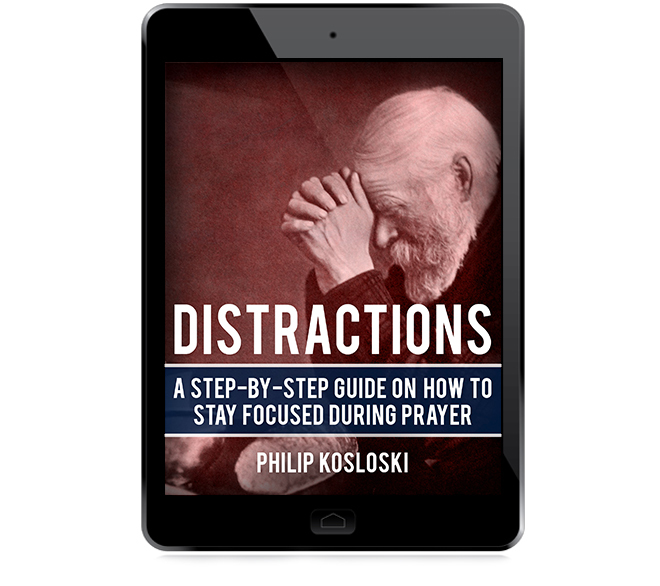 This ebook is meant to be a practical guide on how to stay focused during prayer and reduce unnecessary distractions. Includes reflection questions and more!